Dance on the beach. Run in the surf. Make a splash in tropically sunny Corpus Christi, Texas! There are miles of beaches for fishing, boating and floating. Attractions are waiting to be explored and our conveniently located hotels and condos are just minutes from everything. Be sure to visit our art festivals and sporting events that continue year around. With special savings and value pricing, Corpus Christi is an attractive location for the whole family! 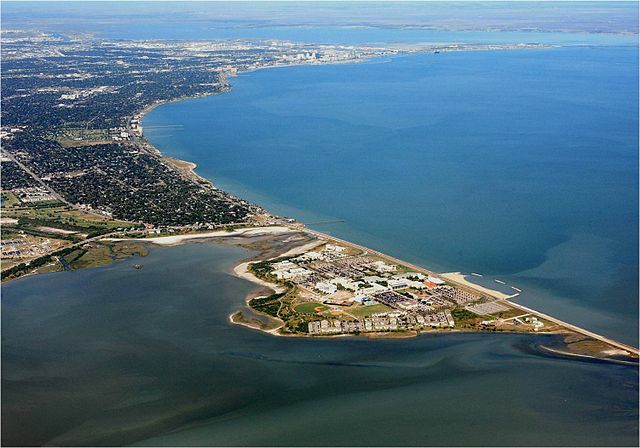 Corpus Christi Location: Located on the Gulf of Mexico, about halfway between Houston and the U.S. Mexico border, Corpus Christi shares the same latitude as Tampa, Florida. Nestled on a bay and surrounded by islands and hundreds of miles of beaches, Corpus Christi is a popular spot for family vacations and provides endless recreational opportunities. Corpus Christi is home to a variety of exciting and enjoyable activities: Sports lovers will have the time of their lives in Corpus Christi! Fishing enthusiasts will love casting a line, while golfers can tee up at one of our amazing golf courses. Explore the Texas coastline on a cruise or get in the middle of the action on a sailboat. Venture into the wilderness on horseback, or play a rousing game of tennis. No matter your passion, Corpus Christi scores a home run! Don’t forget to bring your binoculars when you visit Corpus Christi. World class bird watching is available to all who visit! Corpus ChristiËœs beautiful natural landscape hosts over 17 nature refuges and parks that offer bird watchers the chance to observe over 500 different species, including powerful raptors and graceful whooping cranes. Corpus Christi Attractions: Come to Corpus Christi to relax and enjoy yourself. While you are here, experience some of the wonderful attractions that make Corpus Christi such an amazing and unique destination. A list of all of the excitement can be found on our website’s attractions page. Read on for a more detailed description of Corpus Christi’s spectacular museums and facilities. The Corpus Christi Municipal Marina is the center for all of the wonderful amenities and services Corpus Christi Bay has to offer. The marina is protected from the Gulf of Mexico by scenic barrier islands off the Texas Coast. Come enjoy the waterfront and see the sailboats! Come and see Victorian charm in South Texas! Heritage Park and Cultural Center hosts eleven different historic homes, including the 100 year old GalvÃƒÂ¡n House, an award winning center that hosts artistic cultural programs showcasing the diverse culture of Corpus Christi and South Texas. All hands on deck for excitement! Step aboard the U.S.S. Lexington, a famous naval aircraft carrier from World War II, featuring amazing rides in a flight simulator, a chance to climb behind the controls of a jet fighter, or preview a movie on board in the mega theatre. The museum is open seven days a week. Travel on an ocean adventure deep into the Gulf of Mexico without ever leaving the shore at the Texas State Aquarium. Observe aquatic life from dolphins to jelly fish, and learn about environmental conservation and wildlife rehabilitation. Visit the largest remaining natural barrier island in the world. The Padre Island National Seashore covers 130,000 acres of pristine barrier island, which is home to sea turtles and spectacular bird watching. Enjoy an entertaining evening of music, comedy, or drama at Corpus Christiâ„¢s outstanding non-profit Harbor Playhouse community theatre. Productions are friendly for the entire family, so come and see what local Corpus Christi talent has to offer. Explore a coastal highway dedicated to bird and wildlife watching on the Great Texas Coastal Birding Trail. The trail surrounding Corpus Christi has observation platforms and kiosks with helpful information about the environment and all of its natural inhabitants. Looking for a peaceful place to relax? Escape to beauty in the Corpus Christi Botanical Garden. The garden features walking trails surrounded by roses, desert and tropical flowers, and 2,500 varieties of orchids. Tours are available.